If you need insurance for your Utah craft brewery, distillery or winery, trust Four Seasons Insurance Agency, an independent agent based in Sandy, Utah. As an independent Utah insurance agency, we have access to many different types of coverage through a variety of insurers. That means we can shop for the right types of insurance coverage and the most affordable premiums. We provide a highly personalized level of service that ensures you get only the insurance products you need. We are there to answer your questions and periodically review your policies, to ensure that your coverage keeps pace with your business growth and risk profile. Small, artisanal producers face a set of complex and unique challenges and risks. Unfortunately, many insurers do not understand these needs, nor do they have insurance products that can adequately and affordably provide the coverage you need. And, because most businesses of this type are locally owned small companies, you may not have the capacity for sourcing and purchasing expensive coverage packages that large corporate entities do. The challenge becomes even more pronounced when dealing with alcoholic beverages. This specialty insurance field can be complex and not well-understood by many insurers. Liability is typically the primary challenge for smaller scale producers of wine, craft beer and spirits. Liquor liability coverage is critical, but you also need coverage for your equipment, your facilities, your employees and company vehicles. 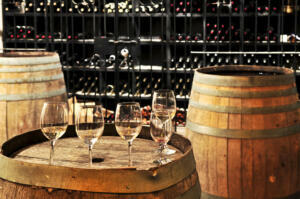 If you open your facility to the public for tastings, etc., you also need premises liability coverage. Beyond these basic levels of coverage, you can also purchase coverage to help offset losses in business income due to canceled contracts, product recalls and other unforeseen events. You can also insure your key personnel – your winemaker or master brewer, for example – in the event they must be replaced. Four Seasons Insurance Agency understands the challenges you face. We also realize that you have your own operation to run. You wear many hats and spend long hours making your business a success. You shouldn’t have to become an insurance expert too. We spend the time it takes to get to know you and understand your business. We explain the types of coverage that would most benefit you and help you develop the necessary risk management strategies to keep your insurance costs as low as possible. Don’t take risks with the future of your business. The experienced team at Four Seasons understands the industry-specific challenges you face and we have the affordable solutions you need. For a complimentary review of your current insurance for your craft brewery, distillery or a winery, contact us today to schedule a no-obligation consultation.